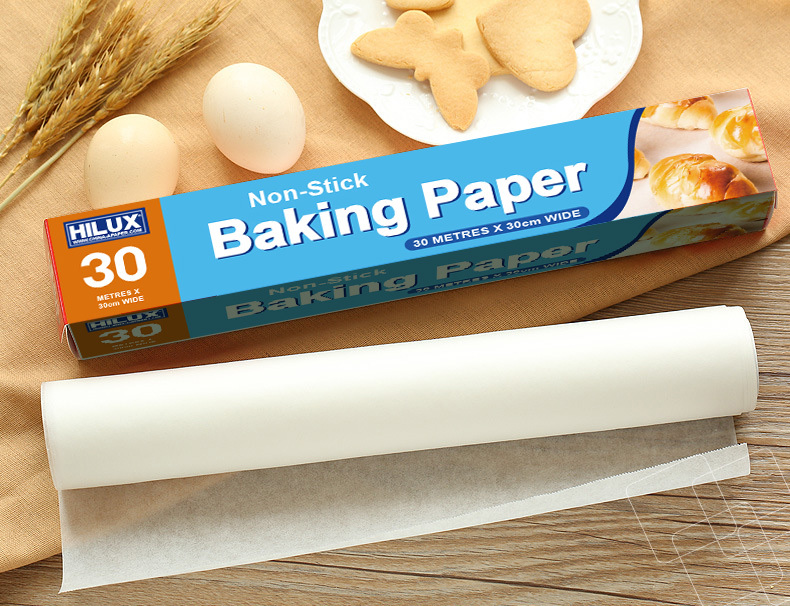 Non-stick Baking Paper is a natural, high-density paper for oven with a non-stick coating, it delivers better baking results with easy clean-up. Parchment Paper Roll is an easy way to bake, cook, and prepare food with almost no clean up. Also use as a liner for baking. So that, it is oil-proof, waterproof, non-stick and against high temperature to 230 celsius degree. Our cooking kitchen paper is widely used for cooking, baking, roasting, freezing and food wrapping. The both side silicone baking paper with high quality manufacturing process and best competitive price. Looking for ideal Non-stick Baking Paper Manufacturer & supplier ? We have a wide selection at great prices to help you get creative. All the Parchment Paper Roll are quality guaranteed. We are China Origin Factory of Both Side Silicon Paper Roll. If you have any question, please feel free to contact us.